With fall looming on the horizon, my time is already being taken up with Ski Patrol. Particularly this year because I am assisting Daryl R., Summit Central’s Assistant Patrol Director, with running the Outdoor Emergency Care (OEC) class. With the class beginning in early September, August has been full of phone calls, planning, and preparations. 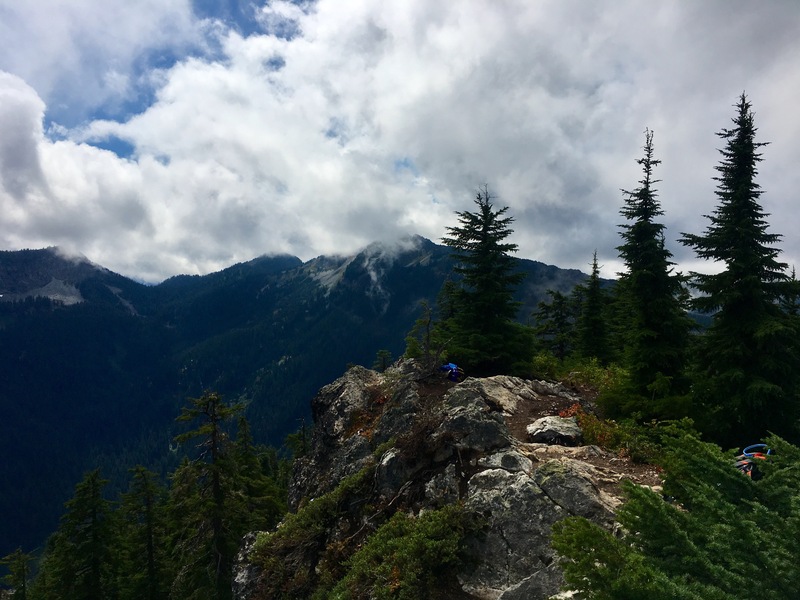 The Washington Trail’s Association (WTA) app came to my rescue. 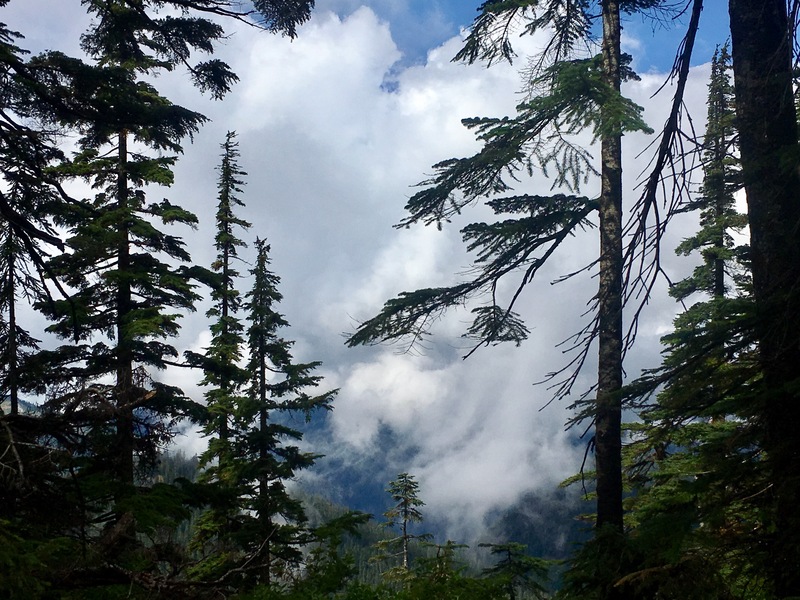 I did a double-take when I read that there was a three mileroundtrip hike just up the road past Hyak that reached a summit and had beautiful views. Mt. Catherine, huh? Well, it was worth considering. As I drove up to the pass and the skies cleared and the sun drenched the hillsides, I knew without a doubt that I needed to go for a hike. Alright then Mt. Catherine, you’re it! After a stop at the building and loading my car up with dusty boxes of gauze and supplies that needed inventorying, it was time to hike! The drive up the dirt road took a while, and at one switchback several people had pulled over and left their vehicles. 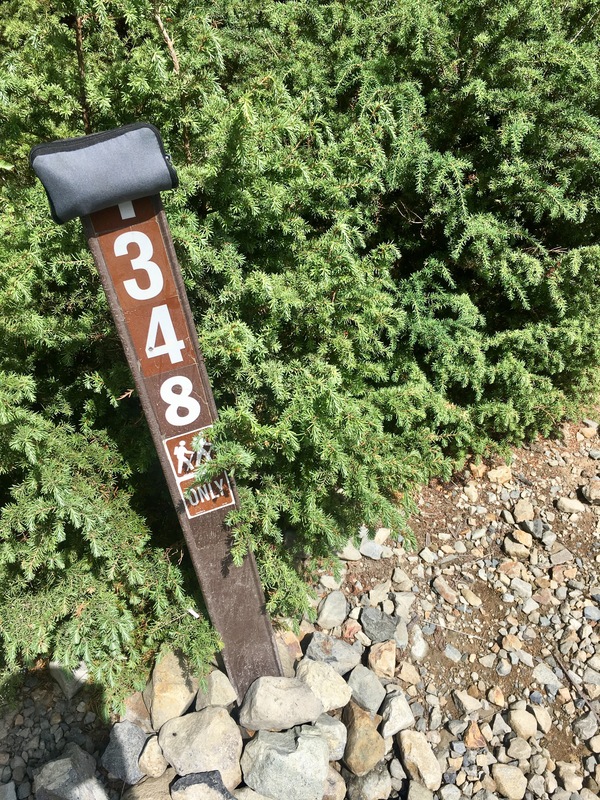 That particular turn was more of a riverbed than a road, I’ll admit, but my Subaru Forester made it without a hitch and suddenly I was at the trailhead. With only a small bag containing water, an emergency bivy, and a headlamp (and yes, this broke my 10-Essentials rule), I set out. 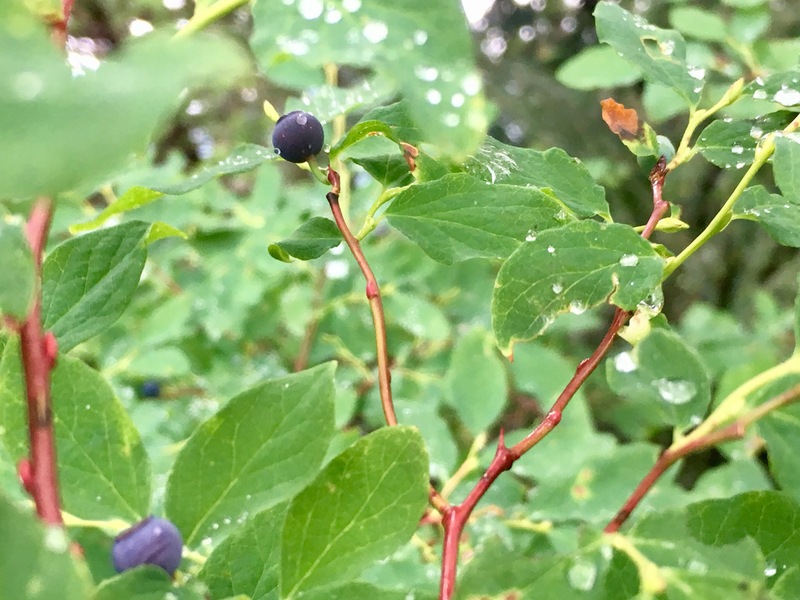 The trail was well-defined, the air was fresh and laced with the smells of wet earth and pine trees, and I was thrilled to discover that the blue huckleberries (or are they blueberries?) were out in abundance! 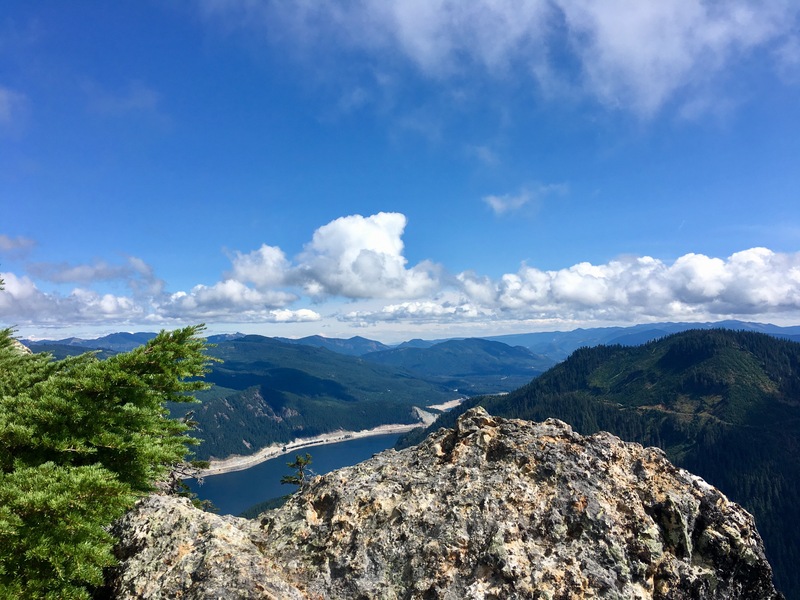 As I was recovering from some sort of upper respiratory bug, I took it slow, enjoying the views that opened up once the switchbacks brought me to the ridge. 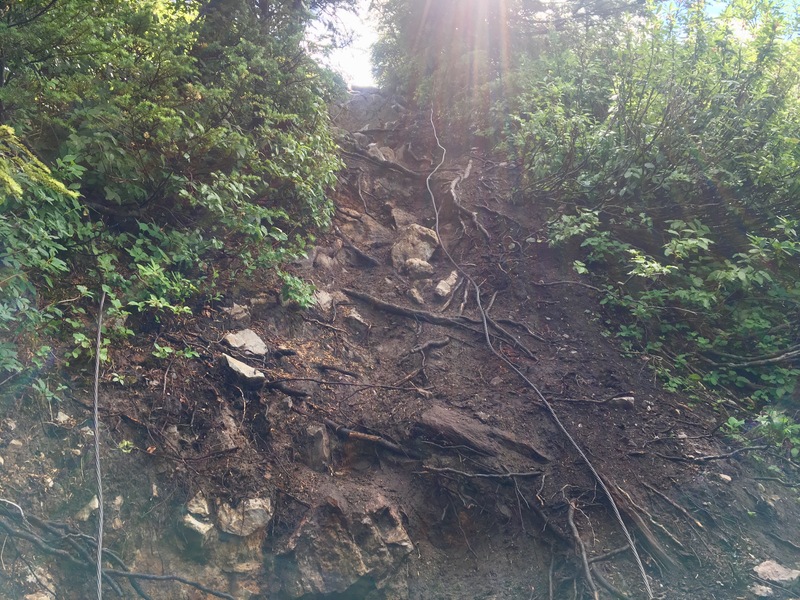 I knew I was getting close when I found the cables–the WTA reports described a scramble at the top with cables to assist. Sure enough, around a bend with views to the top, there they were! I opted to scramble up without their assistance but made note of them for the trip back down. 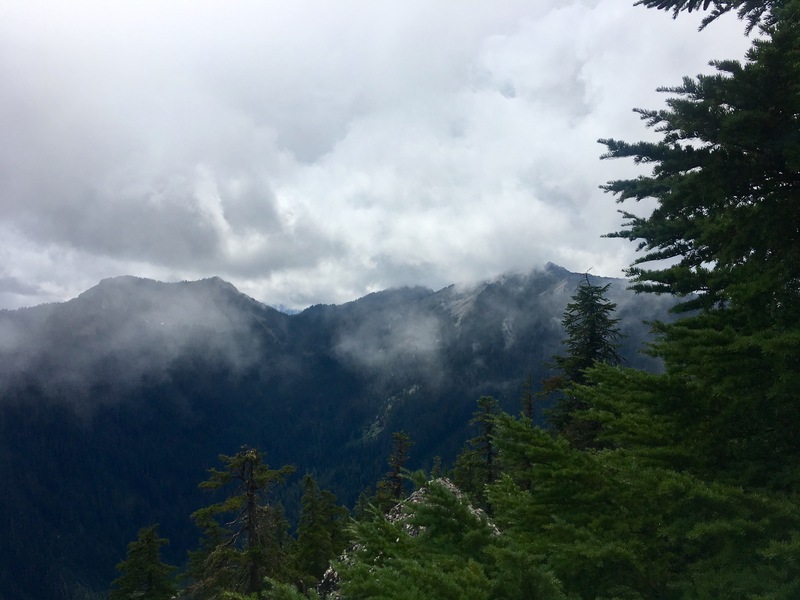 There was one other hiker at the top when I arrived, and we shared pleasantries while giving each other space to drink in the views in silence and watch the clouds dance across the ridge behind us. How blessed to live in such a place where a mere 1.5 miles up provides such beautiful scenes! After a quick break, it was time to head back down. Less than an hour up, and back to the car in even less time. The drive out took about as long as the descent had, and then it was back on the interstate and on my way to my next patrol obligation. 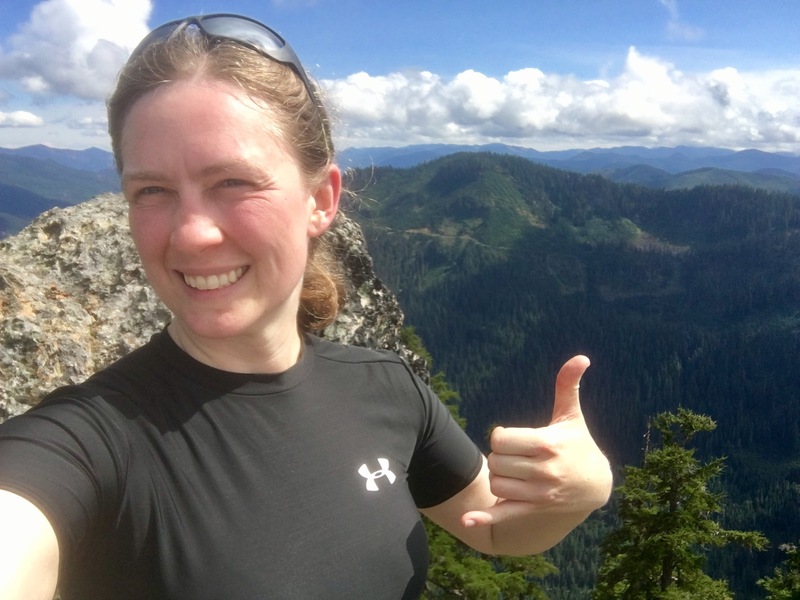 A wonderful, quick hike that I look forward to doing again and highly recommend!